Artificial intelligence in Pharma refers to the use of automated algorithms to perform tasks which traditionally rely on human intelligence. Over the last five years, the use of artificial intelligence in the pharma and biotech industry has redefined how scientists develop new drugs, tackle disease, and more. Given the growing importance of Artificial Intelligence for the pharma industry, we wanted to create a comprehensive report which helps every business leader understand the biggest breakthroughs in the biotech space which are assisted by the deployment of artificial intelligence technologies. 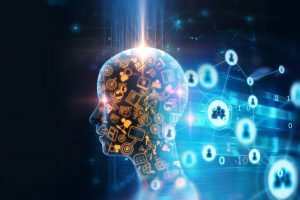 Last year, Verdict AI asked businesses how vital artificial intelligence will be in their respective industries and over 70% of them thought it would be very important. From the same group, only 11% of businesses have not considered investing in AI technology. Furthermore, according to Narrative Science, 61% of companies investing in innovative strategies are using AI to identify opportunities that they would have otherwise missed. For pharmaceutical businesses that thrive on innovation, this is an important statistic to understand. Artificial intelligence and pharma can help save more lives than ever before. A study published by the Massachusetts Institute of Technology (MIT) has found that only 13.8% of drugs successfully pass clinical trials. Furthermore, a company can expect to pay between $161 million to $2 billion for any drug to complete the entire clinical trials process and get FDA approval. With this in mind, pharma businesses are using AI to increase the success rates of new drugs while decreasing operational costs at the same time. Novartis is embracing advancements in AI technology to create new and improved treatments and find ways to get people access to treatment quickly. Novartis is currently using machine learning to classify digital images of cells, each treated with different experimental compounds. The machine learning algorithms collect and group compounds that have similar effects together, before passing on the clean data to researchers who can decide how to leverage these insights in their work. Drug discovery often takes a long time to test compounds against samples of diseased cells. Finding compounds that are biologically active and are worth investigating further requires even more analysis. To speed up this screening process, Novartis research teams use images from machine learning algorithms to predict which untested compounds might be worth exploring in more details. As computers are far quicker compared to traditional human analysis and laboratory experiments in uncovering new data sets, new and effective drugs can be made available sooner, while also reducing the operational costs associated with the manual investigation of each compound. But there’s another reason why Novartis is at the top of our list. CEO, Vas Narasimhan is one of the forward-looking digital leaders in healthcare who is constantly advocating for the role AI, predictive analytics and big data can play in Pharma. David Shaywitz, in an excellent Forbes article summarizes all the challenges Novartis is facing in adopting AI – but also how the company is still pursuing AI with some notable results in clinical trials and finance. Verge Genomics develops drugs by automating their discovery process. They use automated data gathering and analysis to create solutions to some of the most complex diseases known today, including ALS and Alzheimer’s. Cost aside, one of the reasons why drug discoveries fail is because they only target one disease gene at a time. Using the same technologies that power Google’s search engines, Verge has discovered ways to map out the hundreds of genes responsible for causing disease and then finding drugs that target them all at once. Their platform is specifically designed for neurological diseases and can predict the effect of new treatments, while also reducing the cost of drug development. Bayer and Merck & Co were granted the Breakthrough Device Designation from the FDA for artificial intelligence software that aims to support clinical decision making of chronic thromboembolic pulmonary hypertension (CTEPH). This form of pulmonary hypertension affects around five people per million, per year around the world. Its symptoms are similar to conditions like asthma and COPD, meaning it can be tricky to accurately diagnose. The aim of the software is to help radiologists detect certain patterns faster, who are often on the frontline for identifying CTEPH patients. The AI would analyze image findings from cardiac, lung perfusion, and pulmonary vessels in combination with a patient’s clinical history and then pass the insights to the radiologists leveraging this technology. Both Bayer and Merck note that the development of their CTEPH Pattern Recognition Artificial Intelligence Software remains complex due to the nature of the disease they are attempting to better diagnose. However, should it prove successful, the tool will eventually be able to assist in diagnosing patients earlier and more reliably, leading to earlier treatment and better patient outcomes. Cyclica is a biotechnology company that combines biophysics and AI to discover drugs faster, safer, and cheaper. They have partnered with Bayer to create an AI-augmented integrated network of cloud-based technologies, known as the Ligand Express. The Ligand Express screens small-molecule drugs against repositories of structurally-characterized proteins to determine polypharmacological profiles. From here, the company identifies significant protein targets and then they use artificial intelligence to determine the drug’s effect on these targets. Finally, the AI produces a visual output of how the drug and proteins interact. By understanding how small-molecule drugs interact with all proteins in the body, Ligand Express can produce the best solution, understand potential side effects, and determine new uses for existing drugs. AI in pharmacology can also be used to find cures for known diseases such as Parkinson’s and Alzheimer’s, as well as rare diseases. This is great news considering the fact that 95% of rare diseases do not have a single FDA approved treatment, according to Global Genes. Traditionally, pharmaceutical companies don’t focus their efforts on treatments for rare diseases because the return on investment doesn’t warrant the time and cost it takes to produce the drugs. However, with advancements in AI technology, there has been a renewed interest in rare disease treatments. Tencent Holdings has partnered with UK-based Medopad to build artificial intelligence algorithms capable of remotely monitoring patients with Parkinson’s disease and reducing how long it takes to conduct a motor function assessment from over 30 minutes to less than three minutes. The AI will leverage smartphone apps that monitor how a patient opens and closes their hands. The smartphone’s camera captures a patient’s movement to determine the severity of their symptoms. The frequency and amplitude score the patient receives can determine the severity of their Parkinson’s. This will allow doctors to remotely monitor patients and set new drug doses. If a patient’s treatment program needs changing, the AI will raise an alert to notify their doctor and arrange a checkup if required. The technology will also reduce the patient’s costs of traveling back and forth to the clinic. Mission Therapeutics, a drug creation company known for its chemistry and proprietary enzyme platform, and AbbVie, a pharmaceutical business known for its strong neurodegenerative disease research, have partnered to develop Deubiquitinase (DUB) inhibitors in the fight against Parkinson’s and Alzheimer’s. Both Alzheimer’s and Parkinson’s patients have an abnormal accumulation of misfolded, toxic proteins, resulting in impaired brain functionality and the death of nerve cells. This is where DUBs comes in. They regulate the degradation of these proteins to maintain their health and stability. By modulating specific DUBs within the brain, Mission Therapeutics is aiming to find potential treatments which will enable the degradation of these toxic proteins and prevent their accumulation. Healx is a promising startup focused on accelerating treatments for rare diseases and artificial intelligence is at the center of their operations. Their AI platform HealNet enables scientists to increase production in disease drug discovery while simultaneously reducing time, cost and risk. The company isn’t directly focused on creating new drugs to cure these conditions. Instead, they use AI technology to examine existing drugs and repurpose them for curing rare diseases. HealNet uses machine learning techniques to access data from a range of sources, including scientific literature, patents, clinical trials, disease symptoms, drug targets, multiomics data and chemical structures. Drug adherence is huge for pharma. In simple terms, to prove the success rate of a drug, a pharma company uses voluntary participants in clinical studies. If these patients don’t follow the trial rules, they are either removed from the trial or they poison the drug results. As a result, having amazing drug adherence is crucial to any pharma company out there. Another critical component for a successful drug trial is that participants take the necessary dosage of a particular drug at all times. For example, it’s been reported that machine learning algorithms can cut incorrect drug dosage intake by as much as 50% for glioblastoma patients. Traditional methods to measure drug adherence require patients to submit the data themselves without any evidence of them taking a pill or other type of treatment. They are also subject to tampering, such as deceptively removing pills to feign higher adherence. AiCure, a New York-based mobile SaaS platform, has developed an image recognition algorithm that removes these issues. Using a mobile phone, AiCure tracks drug adherence by videoing the patient swallowing a pill. The facial recognition system then confirms that the right person took the right pill. In 2016, they published findings from their study that confirms that the use of their AI platform significantly increases adherence in patients with schizophrenia, as measured by drug concentration levels. The results showed that cumulative adherence was at 89.7% for those using the AiCure platform compared to 71.9% for subjects using modified Directly Observed Therapy (mDOT). Even with the obvious advantage that this brings, AI will also decrease costs and accelerate drug development for clinical research and practices. A research team led by the National University of Singapore (NUS) has used an AI platform called CURATE.AI to successfully treat a patient with advanced cancer and completely halting disease progression. In this clinical study, a patient with metastatic castration-resistant prostate cancer (MCRPC) was given a novel drug combination consisting of an investigational drug, namely ZEN-3694, and an already-approved prostate cancer drug, enzalutamide. CURATE.AI was used by the research team to continuously identify the optimal doses of each drug to result in a durable response, giving each individual patient the ability to live a free and healthy life. Dynamic dosing in cancer therapy is not a commonly used technique; it’s typically only used in oncology to reduce cancer’s toxicity. The CURATE.AI technology can uniquely modify drug dosing to the required levels, increasing the efficiency and safety of the treatment. The British drugmaker AstraZeneca has teamed up with Ali Health, a subsidiary of Alibaba, with the aim to grow the drug market in China and to help patients find and keep using the correct medicine with the help of smart health services and AI. Because of China’s aging population, the number of patients suffering from cancer and diabetes is increasing. This has led AstraZeneca to develop AI technology to improve ambulance pickups and smart cancer diagnostics. Overall, this will allow patients to be diagnosed in ambulances quicker and more efficiently so they can be sent to the correct health institutions, where they can receive the right care. The company is hoping that as new innovations develop, patients will be able to access AstraZeneca drugs far quicker and at a fraction of their current cost. Clinical studies are still reliant on paper diaries instead of using modern, electronic systems. Patients are required to note the time they took a drug, record any other medication they took and describe any adverse reactions they experienced. When it comes to the trial sites themselves, many biotech companies are still using fax machines to request and receive patient records from hospitals and have to manually extract relevant information from them. 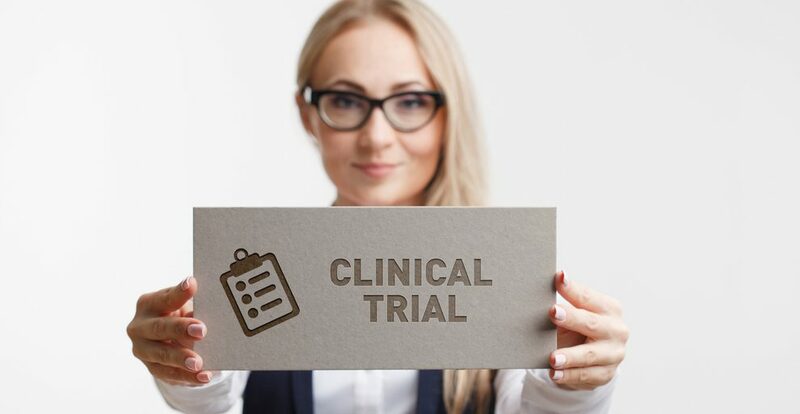 A Cognizant study showed that around 80% of clinical trials fail to meet enrollment timelines, and one-third of all Phase III clinical study terminations are due to enrollment difficulties. 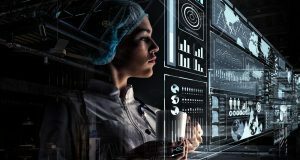 Extracting and making sense of clinical data from medical records is highly sought-after in the medical and pharma industries and AI can be the answer to it. IBM Watson enables clinicians to find a list of clinical trials for an eligible patient quicker and easier than through conventional methods. It also helps clinical trial coordinators find patients that are potentially eligible for available trials. Watson analyzes all of the structured and unstructured information from patients’ medical records in real time, so the clinicians can see a summary of the characteristics that are most influential for narrowing down clinical trial options for a given diagnosis. Watson has a deep natural language processing and reasoning algorithm which enables clinicians to look closer at symptoms and health status. Combined with doctors’ notes, Watson can analyze a patient’s health attributes against the clinical trial requirements uploaded in its database. Watson will match the patient’s records against suitable clinical trials as well as excluding any that are deemed irrelevant or unsuitable. Technology giant Apple uses data collected from its iPhone and Apple Watch products to improve healthcare. Data is at the core of all AI applications and through their products, Apple can provide medical researchers with two streams of patient health data that were previously hard to access. They have introduced an open source framework called ResearchKit that allows researchers and developers to create apps dedicated to medical research. It works in tandem with HealthKit, meaning researchers can access information such as heart rate and daily step count. For example, researchers at Duke University have developed an app that uses the iPhone’s front camera and facial recognition algorithms to screen children for autism. Apple is also working with popular EHR companies, such as Cerner and Epic, trying to solve problems of interoperability. Data generated by patients directly through iPhones and iPads may result in the elimination of control groups for clinical trials and ultimately reduce recruitment bottlenecks. GNS Healthcare has collaborated with Genentech to leverage causal machine learning and simulations to help develop novel cancer therapies. GNS’s Reverse Engineering and Forward Simulation (REFS) technology can turn large and diverse patient data streams into mechanistic computer models. These models reveal new pathways, novel targets and diagnostic markers that may lead to the discovery of personalised cancer treatments. The AI boasts a unique hypothesis-free approach that can reverse-engineer clinical models that cause cancer cells to evolve and insights that can help researchers develop responses to different drugs. Combining AI technologies with Genentech’s huge volume of patient data, the two companies hope to create a powerful tool to find and validate potential new drug candidates and develop patient response markers. While AI can be used to make sense of clinical trials data, another use of artificial intelligence in the pharmaceutical industry is to find the patients to take them. Antidote uses natural language processing to simplify the complexity of the inclusion/exclusion criteria in clinical trials. Patients just need to answer a few simple questions on its search platform and they will receive a list of suggested studies they may be eligible for. Usually, when drugmakers submit details of their new trial, most of it gets entered as structured data in formats such as drop-down menus. This data is easy to record and analyze by computers. However, patients’ eligibility criteria get entered into free text fields where they can write anything they like. Traditionally, interpreting this data was near impossible for a computer to ‘understand’. This is what Antidote does. It’s AI can read this unstructured data so the computer can assign appropriate clinical trials. A staggering 86% of clinical trials fail to recruit sufficient patients. This leads to slower research and delays patients’ access to life-saving drugs. Deep 6 use AI to analyze structured and unstructured clinical data, including doctors’ notes and other free-text documents. Clinical data is separated into key elements while also protecting sensitive health information. The AI then extracts thousands of these clinical data points to create a multi-dimensional profile. Doctors and researchers can then use these profiles to find suitable candidates for a clinical trial. As this is being done by a machine, the process is completely far quicker and with better precision. Deep 6 is only a startup business but with more investment, the technology is there to make a difference for medical professionals attempting to find patients for clinical trials. The importance of what Deep 6 does cannot be understated. Today, the majority of drug trials are filled with referral patients. In simple terms, doctors refer patients to a trial. What Deep 6 is trying to do is simple and brilliant. They’re trying to mine patient data to proactively identify perfect candidates for a specific drug trial. If successful at scale, this could redefine biotech trials as a whole. Santen, a speciality ophthalmology company headquartered in Osaka, Japan, and twoXAR, an artificial intelligence-driven biopharmaceutical company have entered a partnership to focus on identifying new drug candidates for glaucoma. twoXAR will use its proprietary computational drug discovery platform to discover, screen, and prioritise novel drug candidates with potential application in ocular indications. Through the use of AI, big data and cloud computing, twoXAR has been able to build a drug discovery platform that is faster, cheaper, and more accurate than traditional methods. These efforts will see the discovery of new therapeutic candidates to treat this particular disease, leading to the discovery of more effective treatments for those suffering from glaucoma. Even with all the benefits that Artificial Intelligence has already brought to the pharmaceutical industry, a report by the HIMSS Analytics 2017 Essentials Brief shows that less than 5% of healthcare organisations are currently using or investing in AI technologies. Most pharma companies’ current IT infrastructure is based on legacy systems that were not designed with AI in mind. They lack sufficient data storing and often lack interoperability. 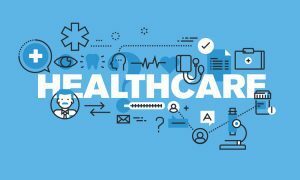 The majority of data within medical systems is in free form so until systems like Deep 6 and Antidote are available, the information cannot be processed and used efficiently by health professionals. Finally, machine learning and smart automations are still seen as a relatively new technology, even though both been available for a while. However, with more information provided to the decision makers (such as through this article! ), those in a position to influence organizational decisions around AI will hopefully get the ammunition they need to lead their orgs into the future. AI is the future of pharma but the technology is available now. Artificial Intelligence can cut costs down, create new, effective treatments and above all else, help save lives. So biotech companies should start leveraging AI today!